Site Owl works with passionate small businesses to build inspiring online spaces that create a knockout first impression. All websites are fully responsive meaning they change size automatically to suit the screen your website is being viewed on - desktop, tablet and mobile. 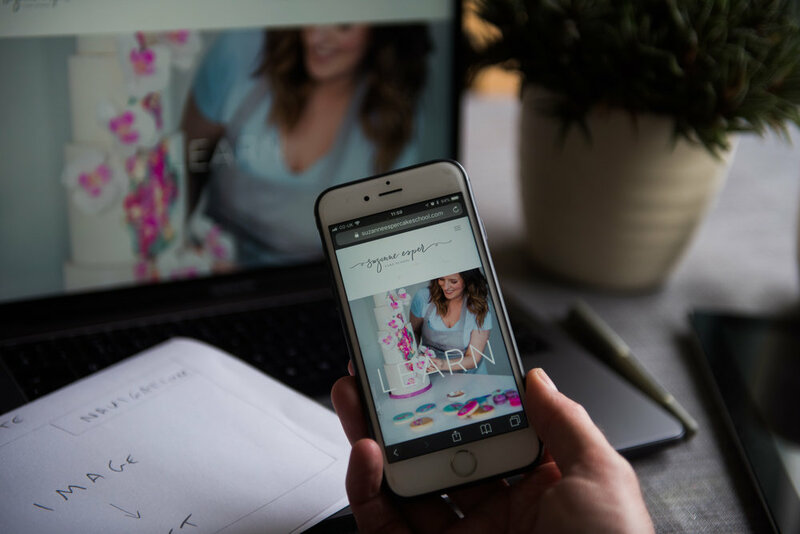 Whether it's products, workshops, events or classes, I can create an online store with a simple payment system making it easy for your customers to buy from you. A content management system is included so you can manage your website and make changes yourself rather than pay somebody to do it each and every time. Keep your customers up to date with a blog. Posting regular updates will help to boost your SEO and let search engines know your site has fresh content for users. There are lots of templates to choose from. I can help recommend a template that's right for business for a great first impression and professional look. I can help you set up a calendar, integrate a Mailchimp email list, connect your social media accounts, embed video, display image galleries and much more. All websites are built using the Squarespace platform. Choosing a template is just the beginning, there is so much more we can do to create the right website for your business. Think of Squarespace as the foundation stone. What we build next will be driven by a mix of imagination and what you and your business desire. Whether you want to make a quick change to some text, insert a fresh image or even create a new web page, YOU can. A fully functional content management system will enable you to drag and drop and edit and build in minutes without the need to pay somebody to do it for you. But don't worry, I'm here if you need me and I'll talk you through how to use Squarespace before I hand over control to you. Your new website can be as complex as it needs to be in line with your business. But it needn't look complicated on the face of it. Your customers need to feel a connection when they land on your home page as well as getting to where they want to be quickly. I can help you cut down long pieces of text or even write some new bits.